The Epiphone Dot, Epiphone's version of the venerable ES-335 “Dot”, has been wowing guitar players all over the world for a decade. Vintage models (with vintage problems) can’t complete with our Epiphone Dot, which is simply one of the best deals today for guitar players who want the classic sound of an ES-335 at an affordable price. 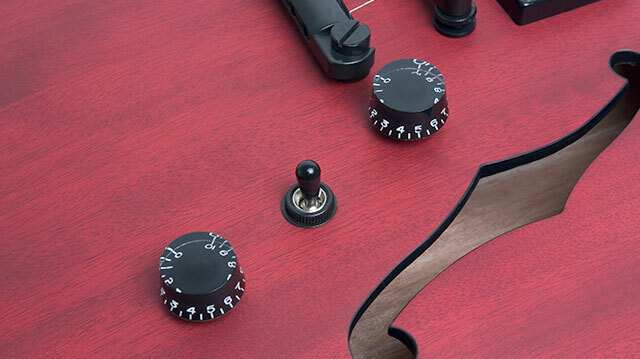 Now the Dot Studio gives players the exact same sound and quality in a stripped down studio model made of mahogany. Similar to our Les Paul Studio, the Dot Studio has all the tone and functionality of our “Dot” but with a fabulous Worn Cherry or Worn Sunburst finish. Epiphone is long famous for its own original semi-hollowbody models from the 1950s Kalamazoo, Michigan era, including the Riviera and the Sheraton. During the same time those guitars were being designed and constructed in Kalamazoo, the ES 335, first introduced in 1958, became a favorite of blues, rock, country, and pop acts for its elegant design and wide array of colorful tone combinations. 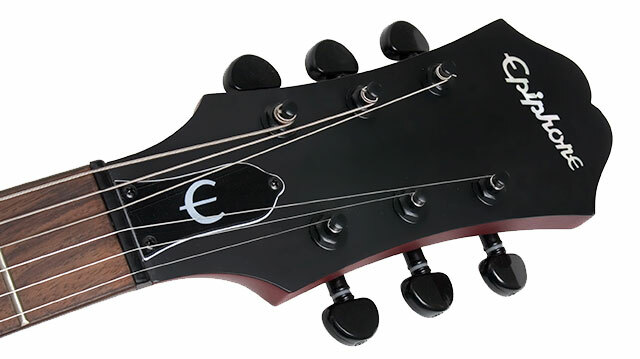 Now, the Epiphone Dot Studio, named in reference to its mahogany body, worn finish and plain fingerboard, opens up the availability of the sustain and resonance of the semi-hollow design for a bounty less than most solid body guitars. The “Dot” is the same axe that has been the bell weather of every rock and roll breakthrough. And now for the first time, the “Dot” puts that classic sound and over 40 years of refinements in your hands, the Epiphone way. Color Worn Cherry (WC), Worn Sunburst (WS). The Dot Studio includes Epiphone’s famous nickel hardware including premium 18:1 ratio black Grover® machine heads for superior tuning stability and accuracy along with Epiphone’s exclusive black LockTone™ locking Tune-o-matic bridge and Stopbar tailpiece for great sustain. 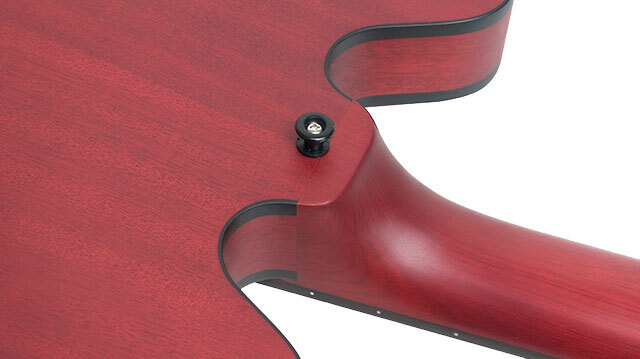 The Dot Studio comes in Worn Cherry (WC) and Worn Sunburst (WS).